Chemjobber: "...but by our skills with a lightsaber." 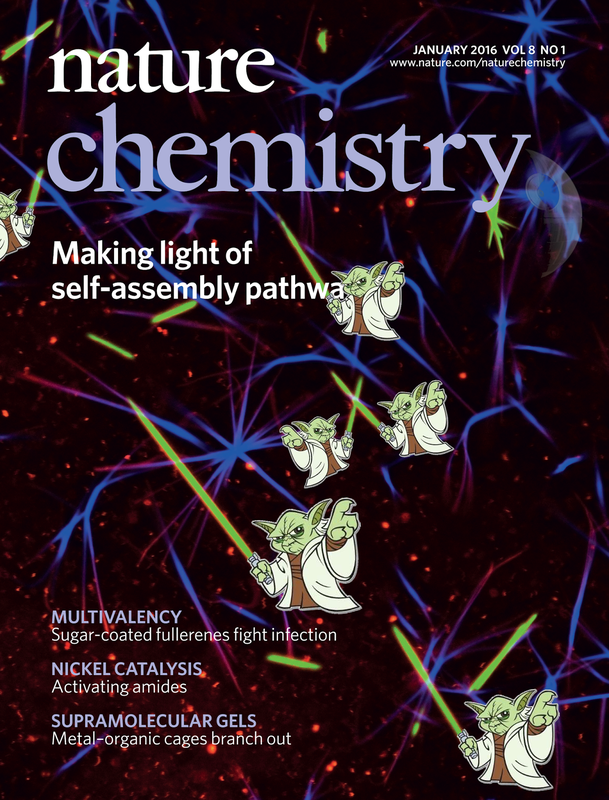 Nature Chemistry has its January cover out; it is a beautiful one. Stuart Cantrill (the editor-in-chief of Nature Chemistry) made a fun version of it, to left.